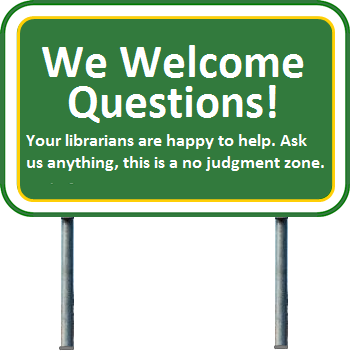 Monday-Friday 9am-5pm Eastern: contact a librarian anytime by phone, email, text, or chat. Evening & Weekend: please schedule an appointment in advance. Submit your request before 4pm (for evening assistance) or Friday at 4pm (for weekend assistance). Chat: use the chat box to contact a librarian. If chat is unavailable, please use email.